Newly designed! The 5 pins FIT 5-door "Thomas Wooden Railway" brand Roundhouses! MAKE SURE YOU CHECK THE "BRAND" OF YOUR ROUNDHOUSE BEFORE PURCHASING! ONLY FITS THOMAS BRAND "TIDMOTH SHEDS" ROUNDHOUSE. IF IT IS NOT A THOMAS BRAND ROUNDHOUSE, IT WILL NOT FIT. If you can not find the brand of the roundhouse, GOOGLE IT! There are many brands on the market. 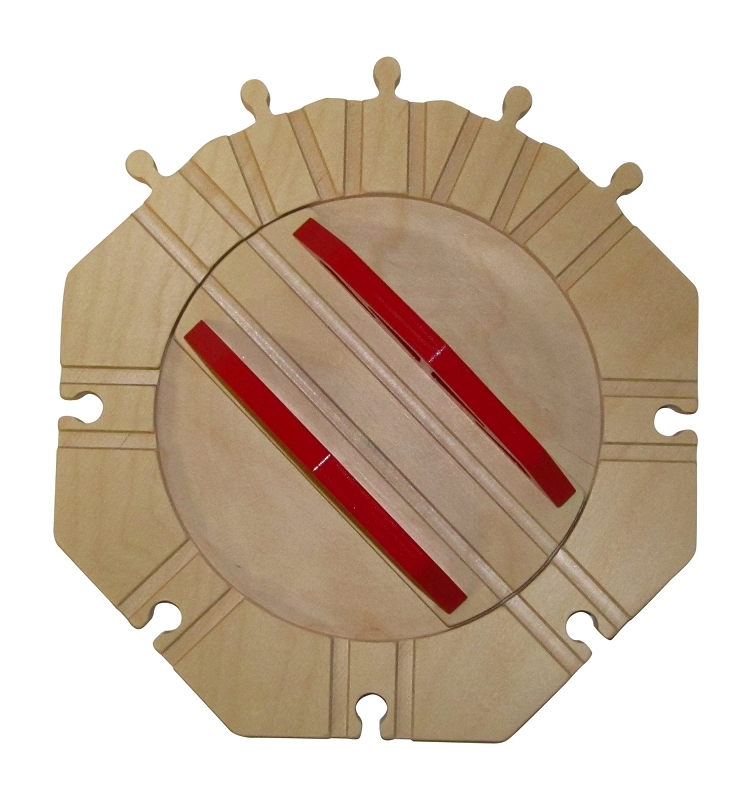 It also can be used as a centerpiece of your wooden track layout. 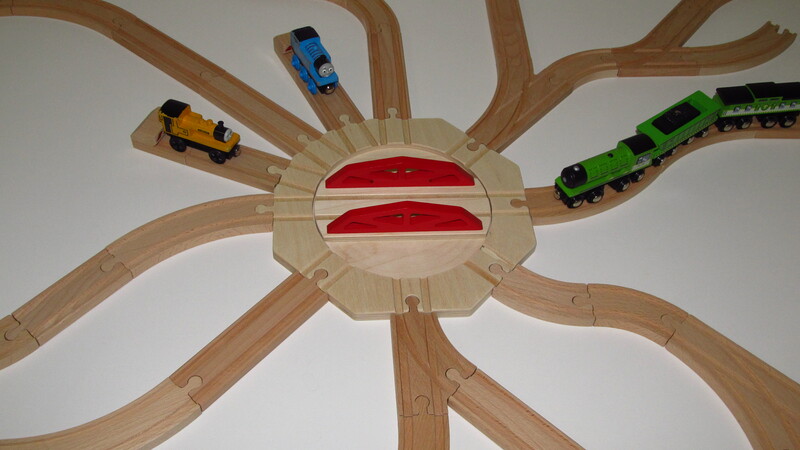 It has 8 different directions you can pass your long wooden trains through. All wood construction. Overall 10" x 10". Rotating table itself is 6-3/4" long to accommodate longer engines. The individual pins and holes are compatible with your wooden railway system. The quality of our accessories are unmatched. Realistic in design, parent and child friendly. All wood, no plastic parts. 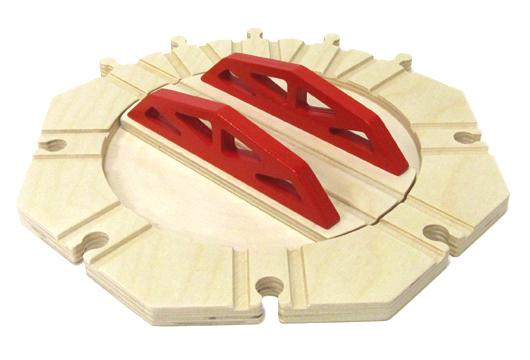 Our products are compatible with Thomas, Brio and many other wooden track systems. Painted with safe non-toxic materials.